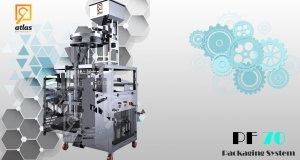 Filling and packing machine of all types of Chips, Crisps and all kinds of nuts according to the weighty system. The work system is tower line 14 head of Chinese weight and excellent quality with a combination function to achieve the required weight. The company provides electric warranty for all electronic parts, scale boards and screens for one year. 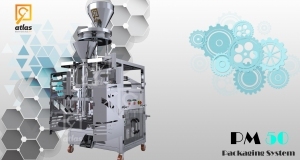 The filling equipment is provided with a waiting gate for ready-made packages of 14-gauge weight crates that help to speed the machine, helps to weight accuracy and helps to break the chips during the fall of the inside of the packed item. All parts that contact the material are made of stainless steel 304. Thermal Heaters are of 220 volts and provided from the largest Turkish companies. The machine is provided with machine knives, heaters and spare parts. 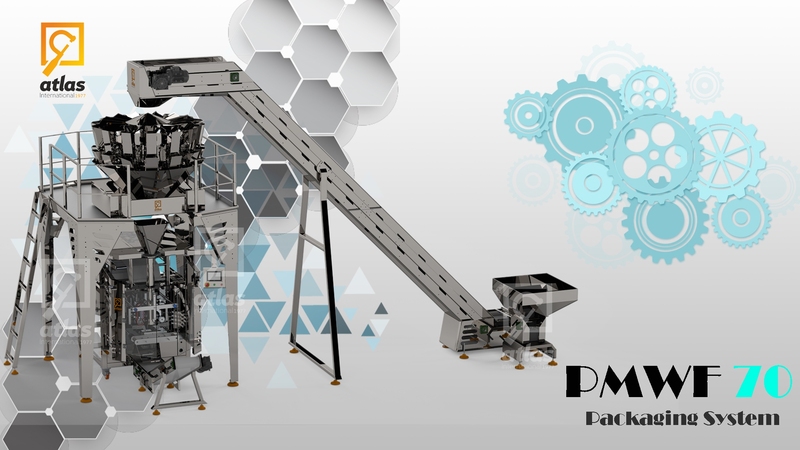 The control process of pulling packing roll with the quadrant peeling, an Italian model, which is responsible for pulling packed items mechanically. The large-size roll shape mold is made of square shape chrome and domed square shape and it is of Turkish origin. Z-shaped feeder line made of thermally coated iron and packed by thermally coated iron, too. All electric parts are SCHNEIDER of French origin. The tarpaulin is made of p-u loaded from the sides with 5 cm high sills and barriers for transporting materials equipped with a multi-speed screwdriver of Turkish origin to control the flow of materials.